All four collections, only four zip files to download, huge savings for a limited time! 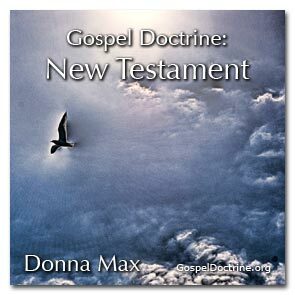 Read and study along with Donna as she reviews each chapter, adds new insights, and simplifies the scriptures. 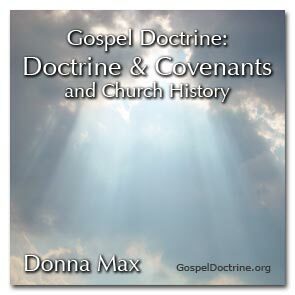 Donna Max walks you through each section, weaves in the history of the Church, and adds modern day application. Join Donna in a comprehensive study of these scriptures and gain a better understanding of Christ, His mission, and our responsibility. 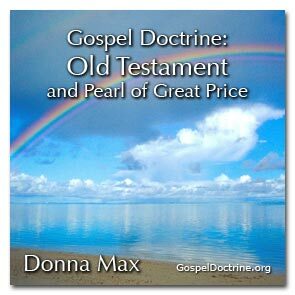 Gain new understanding of the OT with Donna as she reviews these scriptures and explains difficult passages, covenants, and the early Church. 2. Anyone preparing for missions!!! "Download" means we transfer the lessons from our website directly to your computer. To download, right-click the link above and choose "Save target as..." or "Save linked file as..." If you simply click on it, your computer will download the whole lesson and then play it (you won't hear anything for a long time unless you're on a Macintosh). If you follow the instructions above and download it, the MP3 file will be on your computer and you can play it immediately whenever you like (after the download is complete). 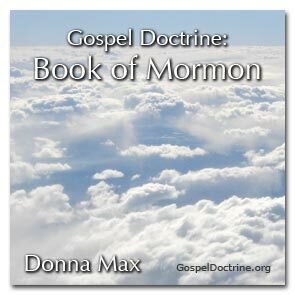 For almost 20 years Donna Max has broadcast LIVE to over 150,000 citizens of Utah Valley, a weekly scripture study hour. THESE ARE THOSE BROADCASTS! She walks her listeners through the various chapters of scripture (using the authorized materials of The Church of Jesus Christ of Latter-day Saints and the writings of the Prophets) AND at the same time wherever possible she weaves in various, related gospel topics, history, world events (current and past) which pertain to the particular lesson, and personal stories, which all combine to make the scriptures come alive and hold your interest. Her lessons are loaded with information . They are very unique & inspirational! Like many other LDS authors, researchers, and presenters - I too must quote Peter, 'Knowing this first, that no prophecy of the scriptures is of any private interpretation. For the prophecy came not in old time by the will of man; but holy men of God as they were moved by the Holy Ghost.' (2 Peter 1:20-21.) Thus, I add, as do others, that specific interpretations of scriptural passages have been left largely to those who have been called, ordained, and set apart to speak for the Lord in these latter days; the prophets, seers, and revelators of the Church of Jesus Christ of Latter-day Saints. I have quoted liberally from them throughout these lessons. However, like any Gospel Doctrine teacher, the way I have done so and my interpretation of such is my own responsibility. 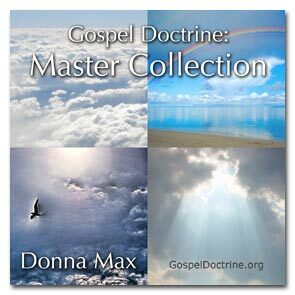 Please note that these are not simple or ordinary gospel doctrine lessons (although they are easily understood). As a whole they are jam-packed with material covering every possible gospel doctrine topic and will vastly increase your knowledge of the Plan of Salvation and the gospel in general. This has been a missionary work encompassing the past 25 years, 20 of which included a one-hour-per-week live radio lecture to an audience of over 50,000 listeners in Utah Valley. These are those programs. As an introductory offer you are welcome to download one of these programs free (see top of page). Without the incredible aid of the Holy Spirit this could not have been accomplished. Year after year I feel I was directed, by this same Spirit, to the materials and books and authors to be used in this project. I am most grateful for the very intelligent, inspired men of God who by that same Spirit have made their materials available to those of us less qualified (or less enlightened or spiritually endowed) to help us to further the missionary efforts in these latter days to save our eternal souls. A list of my references can be obtained upon request. With these lessons you can receive an in-depth study of the scriptures anywhere, anytime and help in the work to prepare for the Second Coming of our Savior, Jesus Christ.